currently the CMP ticker and volume bars start to fluctuate. Few users are facing this, currently you can use kite2. So is there any ETA for those few users? Or should they use Kite 2 only? So is there any ETA for those few users? For few days use kite2 only. Will fix this soon. The high/low prices are not reflecting correctly on Kite. For e.g. Nifty Feb made high of 10630.25 today (15th feb), however Kite shows high as 10628.6. @siva @nithin Kindly help fix this issue. But unfortunately not even a single bug that I (and many others) have reported has been resolved!!! Not even a single glitch/bug!!! Today again I faced same issue which I was facing in past. In kite3 , I am not able to load any chart. When I was trying to load any chart , I was getting a simple blank page nothing else. Generally this may happen when any browser extension is blocking or opening a scrip which is not traded recently, otherwise this shouldn’t happen. Ok Then suggest some name about Extension , which I can able to check that are those extension are installed , if yes then I will remove it. I tried KITE 3 in crome as well as in firefox also. I went through the clarification given by Nithin. What is strange that I haven’t seen such abnormalities in intra-day OHLC candles price in Trade Tiger in past three years. Just my thoughts, in the pending order book - the price should be beside the quantity. The LTP besides the quantity is bit confusing. Don’t know why, I still find this as inconvenient. It will be really convenient if the price tags of the lines or any other element appear over the current price tag when hovered over it. 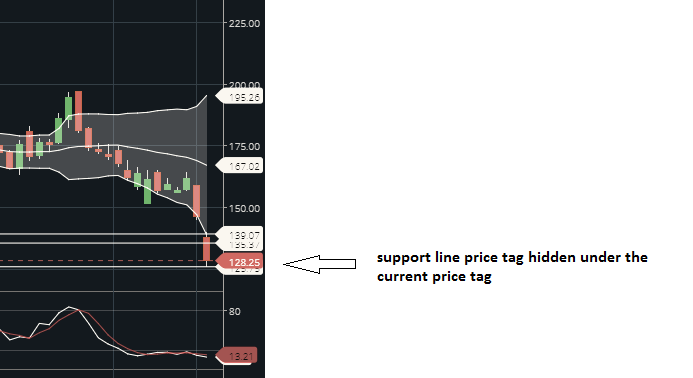 Sometimes when the current price and resistant/support line is near the current price, the price tag of R/S line gets hidden behind the current price tag and it’s really inconvenient. I love kite3 than Pi. whenever I select few indicators on charts and save preferences in layout option, chosen indicators are seen later but after few days or some time period all indicators disappers and only candlesticks are seen.I have to again load all the indicators. It happens with me also. Technical team pls look. Is it possible to delete all or few selected the scrips on marketwatch in a single click ? It would be very helpful to the day trader changing the stocks list everyday on marketwatch. I use 2 different accounts to trade on mobile (one for day trade and one for investment). I login one on Kite app and other one on chrome mobile browser. I would like use the exact same version of desktop web app on mobile browser. It used to work that way earlier but recently it is showing a different version (ex: no % change for the day in holdings, no sorting on columns ) – Grrrrr !!! Even the ‘Request desktop version’ chrome mobile browser menu does not resolve this issue. @nithin can this be fixed urgently ? If you are ok with Kite App, then you can use Kite app in your mobile’s private mode. In case you are having Samsung Mobile, you will have an option called “My Knox” or “Secure Folder”. In this you can install two instances of Kite App and you can login with two different accounts in same mobile. This is just a suggestion, but not able to help with part of your query on “desktop version of Kite on Mobile Browser”. One can tap on any holding to see various options and with a click it can be added to market watch to view day change.